Our second last declutter challenge has arrived. Feels good right? Almost a completely overhauled home if you have stuck along with us from start to finish. 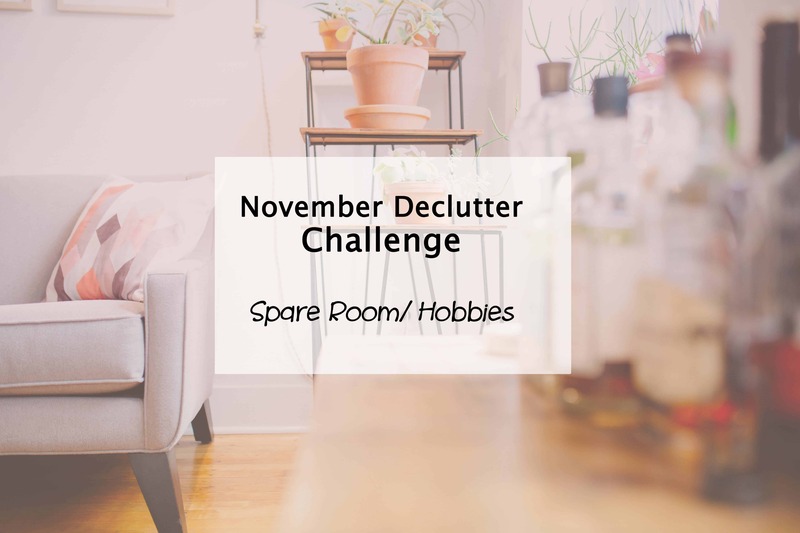 So this month’s Simplify My Life challenge sees us doing an overhaul of our hobbies supplies and the spare room declutter. Most of us have some sort of hobby that we enjoy spending time on. It can be anything from art and craft related activities, like scrapbooking and sewing, painting or drawing, or perhaps music or sport related hobbies. The options are endless, but there is no denying we can accumulate a lot of excess supplies along the way. I know I’m guilty of this and so is my husband. For me it’s scrapbooking and craft supplies, and for him its guitar related stuff. On top of that, we usually have a spare room in the home or guest room that needs a declutter. They can sometimes fall victim to becoming a home dumping ground for the excess we have. Giving this room a complete declutter makes it not only guest ready, but also a much easier space to keep clean and organised. When decluttering your spare room or hobbies area, you need to get in there and give it a deep clean out first and make sure you only keep what you want in that room. If it’s a spare room, you don’t want it to look like a junk room when guests come to stay. And if it’s a hobby area, being able to find everything you need easily means more time to engage in your hobby… which is a great way to simplify your life and have more fun. If it’s there because it has no home, find it a home or get rid of it. Avoid hoarding multiples of the same hobby items if they aren’t required. Saving it for a rainy day – use it or lose it! If you are new to the Simplify My Life challenge, you can find all the posts linked on the main challenge page. What hobbies do you have? Do you make enough time for them? Desks have always been my bad habit area. They are such an easy dumping ground for anything I’m too lazy to put away ?. Working on improving the bad habits lol filing cabinets can be great though.